The United Nations have released during the launch of the 73rd General Assembly in New York the Youth 2030: The United Nations Youth Strategy, an ambitious agenda to empower 1.8 billion young people around the world. UN will concentrate efforts to scale up global, regional and national actions to meet young people’s needs, realize their rights and tap their possibilities as agents of change. 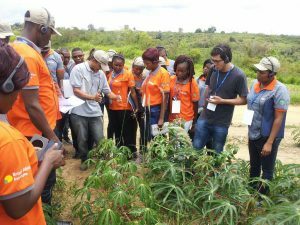 Brazil Africa Institute aligns its work with the UN’s agenda. In 2017 we have started the activities of the YTTP – Youth Technical Training Program offering training on the cassava productive chain in Brazil for 27 young Africans from 14 different countries. The YTTP is IBRAF’s initiative to give youth the right tools to achieve their gols. We are also very proud to have chosen Youth Empowerment as the main theme for the 6th Brazil Africa Forum. 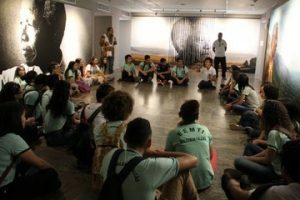 The venue will take place on November 22 and 23 in Salvador, Bahia, gathering important leaders interested in change the realities of young people in Brazil and in the African Countries. In the year of the centennial of Nelson Mandela we have brought to Brazil for the first time, as a part of the worldwide celebrations, the exhibition from the Apartheid Museum, in Johannesburg, on Mandela’s life. The exhibition connects with the general public, especially with the younger ones, inspiring them and strengthening them as future leaders. We know this is still not enough but we are sure we are on the right way. 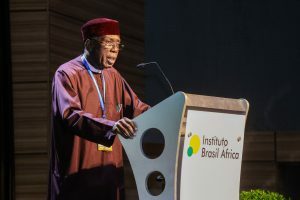 Brazil Africa Institute is open to dialogue and ready to establish partnerships. With Youth 2030, UN invites people, governments and organizations to work with and for young people. “Be a part of it” is the UN´s message. “Yes, we are part of it!”. This is our answer.